In only 5 minutes you can have this delicious and nutritious dip on the table for family and friends which makes it a no-brainer to serve any time of the year but especially for ringing in the new year! 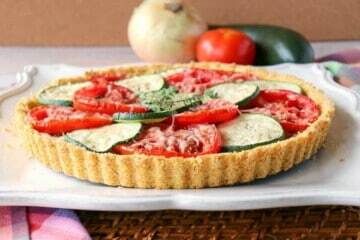 I’m not sure which part of this Fresh Tomato Tart I love the best! Is it the slices of garden fresh tomatoes and zucchini, the crunchy cornflake crust, or the layer of thyme-infused caramelized onions? But, I guess it really doesn’t matter which part is my favorite because all of these delicious elements are incorporated into this pretty presentation! Once you try it, you’ll also be hard pressed to decide which part is your favorite. 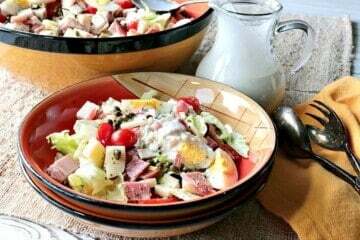 When you want a full meal in a bowl that’s filling, healthy, completely flavor-packed, and is keto friendly too, then look no further than this meat and cheese Chef’s Salad with Homemade Blue Cheese Dressing! You’re going to love just how easy it is to prepare with the help of some grocery store shortcuts! 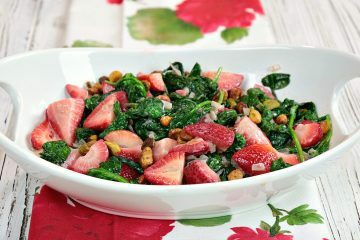 This dish of Sautéed Creamed Spinach & Strawberries came about one night when I was contemplating a side dish to serve with some fish I was cooking. Since I had strawberries in the fridge that I needed to use before they spoiled, I tossed some into the sauteed creamed spinach I was preparing. The completed dish tasted amazing, and it was a feast for the eyes as well as the taste buds! I’ve talked about it before, but it’s worth talking about again. My family loves a good “breakfast-for-dinner” night. There is just something so warm and comforting to sitting down to a delicious breakfast at the end of a long, hard day. 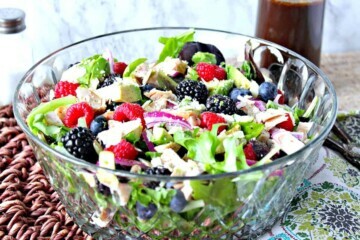 This Chicken, Berry & Avocado Salad is my very favorite. While I don’t always add chicken, I do always make my own vinaigrette. Today I’m sharing how I made my strawberry balsamic vinaigrette. It’s a wonderfully fruity compliment to this tasty, healthy and filling salad. 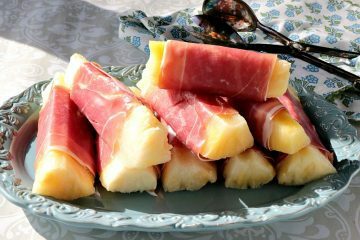 When I know I’m going to indulge in a decadent weekend brunch with all of my favorite foods; I like to start the meal off with a bit of pineapple. I’ve heard that pineapple helps melt away belly fat, but don’t quote me on that, because it’s not really true! However, since I like to *THINK* it may be true I’ve convinced myself that it’s a great way to kick off #BrunchWeek and that maybe all those other calories to follow won’t actually count. Ha! Ha! When I learned that this weeks #SundaySupper theme is orzo pasta, I jumped at the opportunity to develop this light and refreshing new dish. Orzo is probably one of my favorite kinds of pasta. 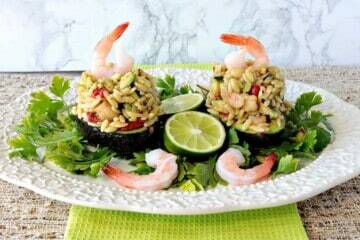 The shape is so tiny and compact that it works well as a filling for a stuffed dish like this Elegant Orzo, Shrimp & Vegetable Salad Stuffed Avocado. 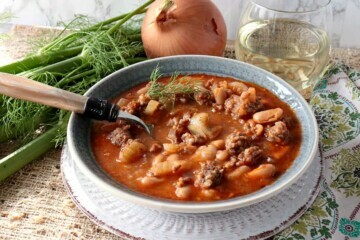 This recipe for Delicioso White Bean, Fennel & Italian Sausage Soup is one I found, and adapted, from Cooking Light Magazine. I didn’t change the recipe much, but I did add more fennel (because I love the light anise flavor of fennel a lot lately), and I also increased the amount of white beans from the original recipe, and I omitted the sage and parsley because I forgot to purchase them at the market. Doh! Other than that, this recipe I’m sharing is pretty much just as it was written in the magazine. 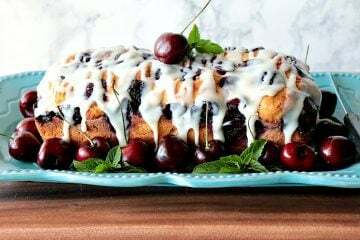 I DO NOT take credit for this recipe, but I do take credit for sharing it with you here on Kudos Kitchen in case you missed it in Cooking Light Magazine. I strongly urge you to make this soup. It’s delicious!